After a few days in Goa, India and then almost two months backpacking through Asia, I was starting to get tired. I wasn’t sure I wanted to head back to the busy, overwhelming, poverty stricken India that started our trip. However, the last week of our mega-adventure had a few agenda items on it that have been life-long goals of mine, such as the Taj Mahal. 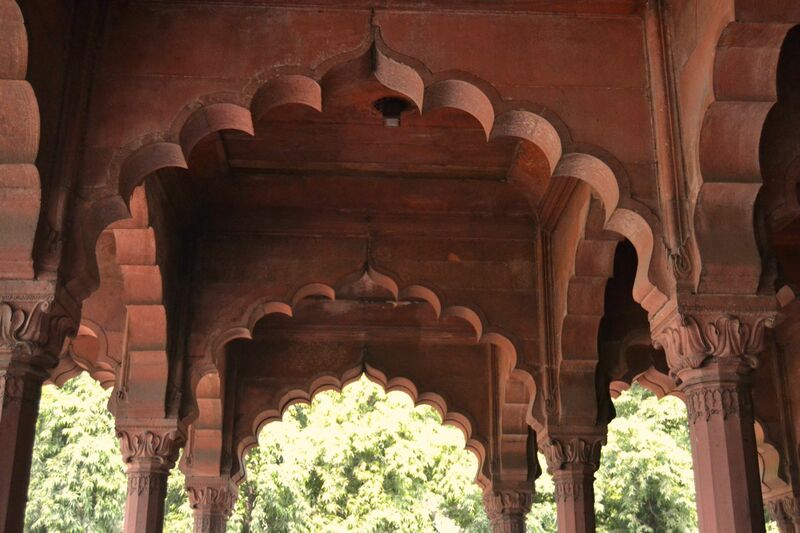 So, it was time to face the grime and head for two days in New Delhi. Despite dipping my toes into the Indian culture for a few days in Goa and being a well-seasoned traveler, nothing prepared me for New Delhi. 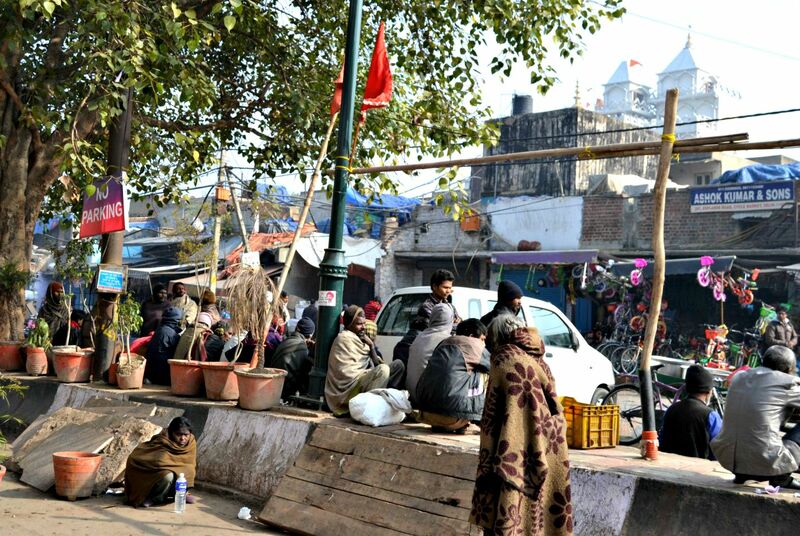 With over 16 million people living around New Delhi, it wasn’t hard to see why poverty prevails. Just about every street corner doubled as someone’s “home,” whether it just be a cardboard box to lay on or an elaborate shanty town with poles and tarps comprising their shelter. On any given street, you could see a mother bathing her baby in a wash bin, a man defecating or a family eating Sambar. In many countries, it is hard to really see how locals live. While I will never be able to know what those families go through, it wasn’t hard to at least glimpse through the keyhole and into their daily lives. Staying on points with travel hacking at the Radison Blu near the airport, there was a convenient metro stop that took less than 10 minutes to get to. However, these 10 minutes were no walk in the park. The smell of urine was overwhelming, even with the failed attempts to hold my breath the entire way. It wasn’t until several trips to the metro later that I realized a good five minutes of the walk was on top of an above ground sewer. I shuttered at the thought of one of the decrepit concrete blocks falling through. Once we were in the city, it was time to start sightseeing. 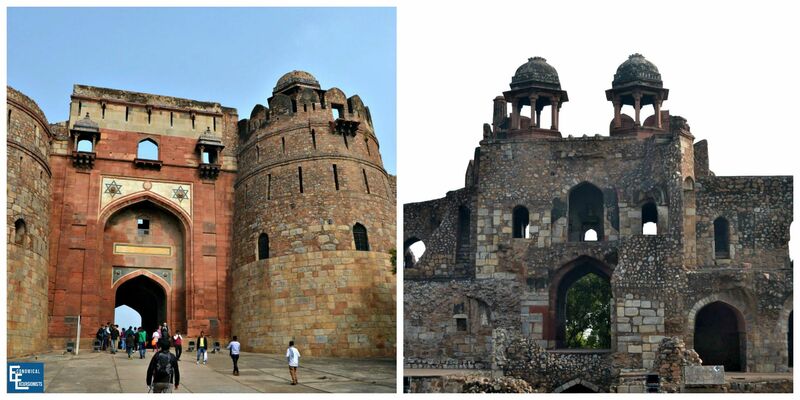 There are a few options on how to see New Delhi. 1) You can hire a taxi for a day. However, I had read conflicting information on the prices for these and mixed reports of getting majorly scammed by the taxi drivers. Combine these with being tired from two months of backpacking and it made us not even want to deal with this. 2) Another option was the Hop On Hop Off bus (Rs700 for adults/ Rs300 for children). I never, and I mean, NEVER like doing Hop On/Off buses. I know, I know, some people just love them, but to me, they are often overpriced, I can usually walk or use public transport to get to most popular sites and the time is constricting. However, with Delhi being so spread out and overwhelming as well as the bus being cheap, we decided that instead of trying to do things ourselves, we would give it a go. We chose the Red Line simply because there were more sites on that route that we had wanted to see. 3) You can always find private guides or tours. This is fine if this is your style, but I try every resort first to see cities on our own before going this route. Once again, it’s more of a frugality thing more than anything else. 1) Get there well before the first bus arrives. This will give you time to buy the tickets and be ready to “hop on” the first route of the day. We made the mistake of showing up around 9am and had to wait over 45 minutes for the next one to come and therefore, had to skip a few of the stops because of this. 2) Your bus ticket does not include entrance prices to each stop (the following prices I’ve included are for non-citizens). 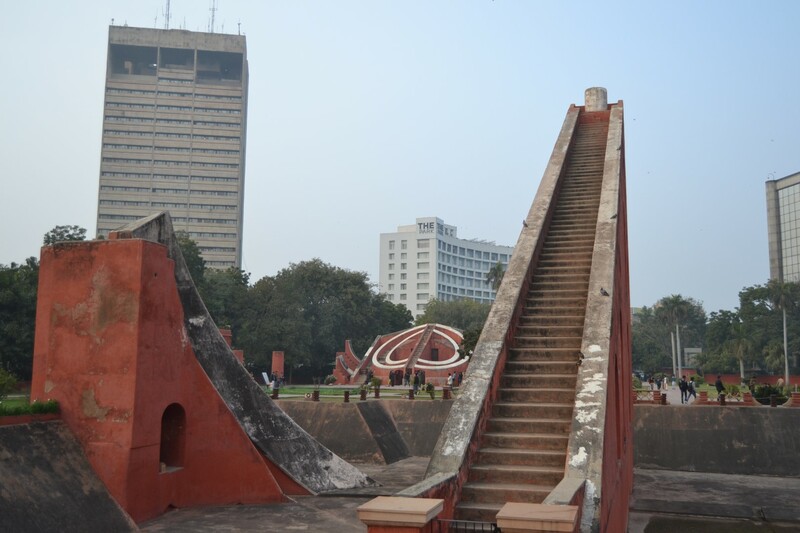 3) At almost every major tourist site in India, there will be “Tour Guides” ready to show you the complex. 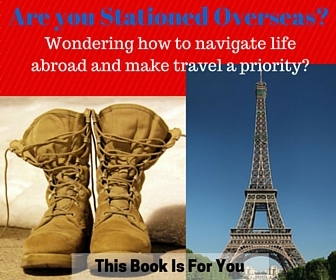 Many of these are illegal guides, despite what they tell you. 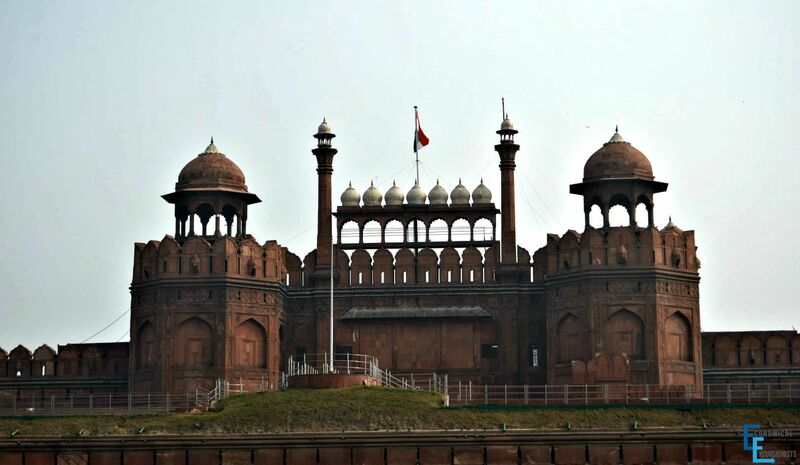 There are several decent free apps that can give you basic, background information for the major places, such as “Visit Delhi.” It takes time, but I also liked to download pdf copies of wikipedia articles of the sites I knew we were going to see, saved them onto our tablets and just read that information while there to give context to what we were seeing. or Larabar type snack with me. You DON’T want to see me hangry!) and then just went straight to dinner when the bus tour was finished. 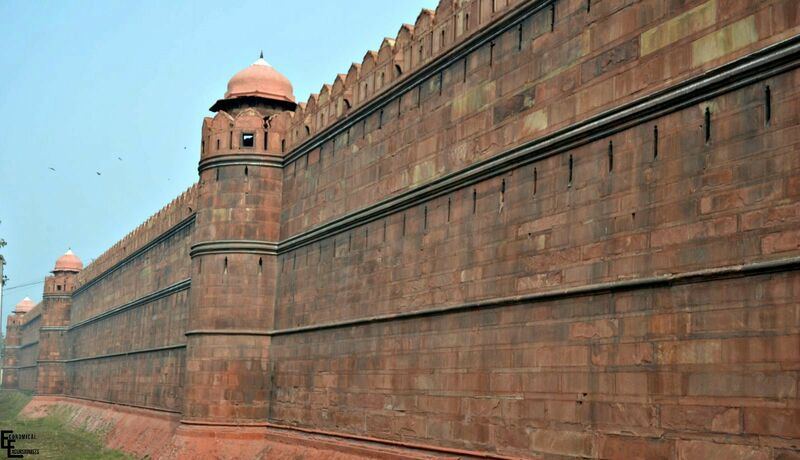 Red Fort: One of the most popular tourist sites in Delhi and is a looming, beautiful fort. If you are there in the evenings, look into it’s sound and light show. Everyone knows how frugal we are. In addition to my never doing Hop on Hop Off tours, I broke another one of our cardinal travel rules; pay for a tour. However, this was one of the best decisions we could have made while in India. While the cost of the rickshaw tour was pricey for our budget traveler spending habits (and in my opinion high for costs in India), it was still well worth every penny. 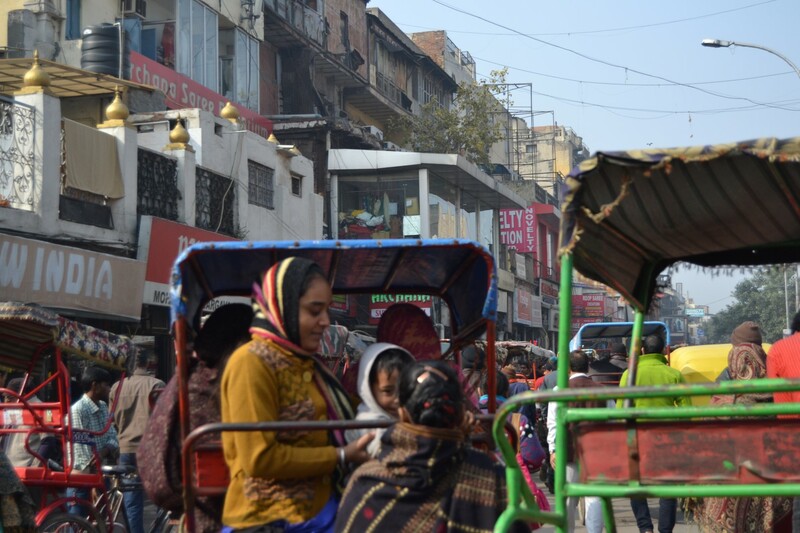 When In India’s rickshaw tour through Old Delhi gave us a completely different view from the New Delhi we had seen the previous day. On the bus tour, there were plenty of other tourists, we felt rushed along and the information was only so-so. With a guide leading us around though with the rickshaw tour, we were able let down our guard for a bit to relax so that we could focus on the experience of India as opposed to worrying about keeping our pockets safe or watching the time to make sure we got back to a bus. Not to mention that having a local with you is very useful in a land where very few people speak your language and cultures and customs are so drastically different than your own. The friendly guide included fantastic information, great stops at Mosques, forts, and a variety of local stores such as spice and sari shops. None of these were places where they were trying to upsell us, so we felt like we were really seeing local life, as opposed to being in the middle of a tourist scam. At the end of the tour, a delicious local lunch was included (in the price of the tour) down an alley I never would have though to go down and was a meal I would have never been able to order on my own! The guide told us all about different traditional meals and foods that you would find a family eating as we sipped our own, delicious chai teas. Tip: Book early! We ended up paying for a private tour with an intern because there were no spots left on the group tour. You can find out more information on the WhenInIndia website. Note: I have no affiliation with WII. As always, I only recommend products and services that I have personally used and love and want my readers to benefit from those positive experiences. SO glad someone else was navigating these streets! 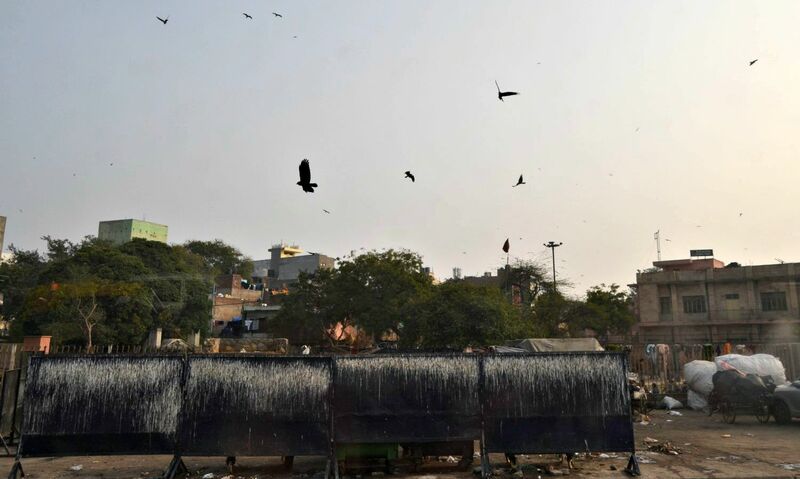 The sights, sounds and smells of New Delhi were still overwhelming, but at the end of the day, I felt like I was able to see it from many different angles, which makes the travel experience better. While I think there are way more enjoyable cities than New Delhi, I think a tour of India would not be complete without least a short stop in the capital city. 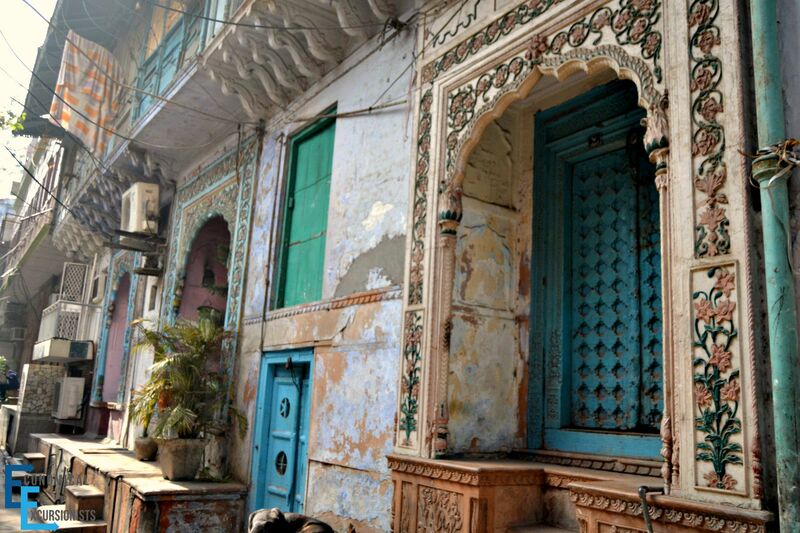 Whether it is two days in New Delhi, or loner, there are so many different ways to see the city and plenty to do. Tell me in the comments how you embraced New Delhi?